In the field of training and HPI, we often spend a great deal of our time and resources finding out what’s wrong with individuals and organizations, but what if we shifted our assessment to also consider what is right? Two clinical psychologists created a movement when they asked psychologists to shift their view of therapy from pathology to potential. The discipline of positive psychology emerged when Martin Seligman, as the incoming president of the American Psychology Association, delivered his inaugural address challenging his constituents to shift their preoccupation from what is wrong and dysfunctional to what is right and good about people by focusing on strengths rather than weaknesses, and health and vitality rather than illness and pathology (Seligman, 1998; Seligman & Csikszentmihalyi, 2000). He proposed a positive approach to study the conditions and processes that lead to flourishing and optimum performance. Positive psychology has three areas of central concern or three pillars that form the basis of its implementation. Pillar 1: Positive experiences. Understanding positive emotions involves the study of contentment with the past, happiness in the present, and hope for the future. Pillar 2: Positive individual traits: Understanding positive individual traits involves the study of strengths, such as the capacity for love and work, courage, compassion, resilience, creativity, curiosity, integrity, self-knowledge, moderation, self-control, and wisdom. Pillar 3: Postive institutions: Understanding positive institutions entails the study of the strengths that foster better communities, such as justice, responsibility, civility, parenting, nurturance, work ethic, leadership, teamwork, purpose, and tolerance. Since the concept of positive psychology was first presented in 1998, the field has expanded to include applications for workplace learning and performance, particularly in the field of coaching. The link between positive psychology and coaching is well documented, given their shared emphasis on self-development, change, and wellbeing, with coaching identified as a vehicle to apply the principals of positive psychology at an individual level. In turn, positive psychology serves as the science at the heart of coaching by supplying a coherent framework, empirical validation, and reliable assessment (Kauffman, 2006). If you’d like to learn more about positive psychology, visit Penn’s Positive Psychology Center, and while you are there, take a look at the variety of tools and assessments that have emerged to measure aspects of positive psychology. Although I do not believe that we can develop performance interventions or training based only on “what’s right” with workers or organizations, we really need to consider deficits to develop solutions; it can be both uplifting and encouraging to also consider the positive when we conduct analysis and need assessment. How might we incorporate principles of positive psychology in the practice of human performance improvement? What are the benefits of also considering positive aspects of performance when conducting analysis? Kauffman, C. (2006). Positive psychology: The science at the heart of coaching. In D. Stober & A. M. Grant (Eds. ), Evidence-based coaching handbook: Putting best practices to work for your clients (pp. 219–253). Hoboken, NJ: John Wiley & Sons. Seligman, M. E (1998). What is the good life? APA Monitor, 29(10), 2. Seligman, M. E., & Csikszentmihalyi, M. (2000). Positive psychology. An introduction. The American Psychologist, 55(1), 5–14. I think we might incorporate the principle of positive psychology by thinking of the actual human and daily performance. that each human does. I would add positive treatment and enforce great affection for positive behavior. I think positive psychology is critical to HPI as whenever we are working with people we must remember we are dealing with creatures of emotion not logic. It is so easy to get emotionally compromised especially when we do something wrong or are criticized as this tramples on our precious pride. When trying to offer constructive feedback it’s important to also acknowledge what is being done right. Too often managers are quick to correct problems but fail to recognize successes. This diminishes one’s self-esteem when all they ever hear is what they’re doing wrong. In this way, we can help grow and develop employees to be better performers and more valuable assets to the company all the while acknowledging their successes and value. This also has lasting effects on retention of top talent along with competitive benefits. In my opinion, Positive Psychology has facilitated probably the most profound shift in the approach to workplace evaluation and development over the last 15 years or so. I work at a consulting company with very stict “up or out” approach to the career development of our consulting staff. There is a certain period of time for each career step during which one should demonstrate great performance in the current role and significant potential for the next one. If either does not happen within this pre-defined period, an employee is counseled out. After 50 years of such intensity our culture has become very much focused on areas for development – things about us that are not good enough to make it to the next level. We want to know about them so that we can work on them, so feedback about the shortcomings has always outweighed the positive commentary considerably. This makes life miserable! Over the last 7 years we have switched to strength based development, both in performance management/evaluation and in performance improvement processes. We start with identifying strengths, breaking them up into specific skills and behaviors that can be applied in the areas where we may be not as strong. Basically giving a person a tool from their own strength arsenal and empowering them to use it to work on their areas for development. It has been life changing for our company and for the lives of our people. So this approach not just works, it works better than what we used to do before. The benefits of focusing on and accentuaing the positive is not just cliche. I can definately see the resulting outcomes delivering more than expected. In my opinion, to be able to provide a framework of positivity relaxes the client and contributes to them being more open and receptive to honest feedback. When addressing a matter from a negative perspective, a person is more prone to be on the defensive and less open to what is being stated and they may even perceive the comments as criticism. For most of us, it is our tendency to focus on the negative when bringing issues forward. However, the same concerns can be brought to the forefront with a different frame of reference. Incorporating the spere of positivity to coaching certainly seems to be an excellent starting point for engaging dialog as well as a foundation for open communication. The Harvard Business Review article “The Ideal Praise to Criticism Ratio”(https://hbr.org/2013/03/the-ideal-praise-to-criticism) suggests that the ratio of complaints to compliments are almost 3 to 1. It also suggests that the ratio of positive feedback is directly linked to favorable team outcomes. High performing teams typically receive comments which are 6:1 favorable to negative ratio , moderate performing team ratio is 2:1 favorable to negative and low performing teams receive 1 favorable comment for every 6 negative comments. This was an interesting read. In the beginning of my studies, I under appreciated the power that positivity can play in HPI. Now, I am a big supporter of it. Appreciative Inquiry is now one of my favorite change models. It focuses on strengths instead of weaknesses and encourages a positive workplace. I believe most organizations dwell on the negative aspects of individual employee performance to keep them in line, it is a convenient way to instill fear as a motivator for performance improvement than trying to deal with the “complexities” of a program that deals with Human Performance Improvement (HPI). Bottom line, it is cheaper to instill fear than create a HPI program to build up an organization’s employees. Incorporating the principles of positive psychology, I believe depends on the organizational culture, and what resources are readily available for use. Even if these are roadblocks to creating an HPI program instructing managers and supervisors to tell their employees “good job” occasionally can at least, focus upon bring some type of positivity into the work place. However, if an organization is keen to creating a HPI program there are many positives that are gained from just focusing upon the negative aspects. Positives can range from building morale with the employees of an organization, to even increasing the lines of communication between employees and management or even create new avenues of innovation. Furthermore, adding a positive “spin” to any communication lessens the anxiety of discussing important issues that revolve around individual’s performance. Very interesting blog. I think that we can incorporate principles of positive psychology in the practice of human performance improvement by applying in a coaching session. Positive psychology will come in handy when providing feedback during a 360 feedback session as well. I think that highlighting the positive aspect of an individuals performance creates an environment of self-awareness and pride along with recognition. All of these things together motivates the individual to perform better. What are the benefits of also considering positive aspects of performance when conducting analysis? I believe that some of the benefits include the ability to impact lessons learned and learning best practices. Implementing Positive Psychology into HPI practices is essential to success from my perspective. I have found that in many instances when change strategy or performance process interventions take place, we have to acknowledge the positive aspects. This is from a number of angles as well that incorporate the people involved, work environment, and the process itself. I think a great way to infuse this positivity if by allowing there to be shared sense of autonomy around the HPI interventions. It can also be practiced by constantly allowing for celebration, achievement of goals, and staff development to remain at the forefront of change. When we consider positive psychology in our analysis of organization, we are moe likely to build interventions so that we highlight them. 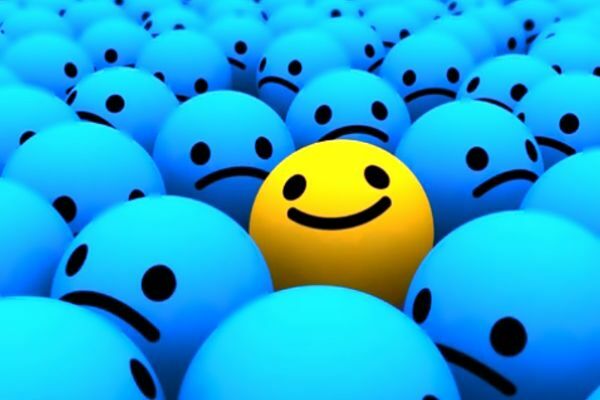 Interesting post and very thoughtful contribution to the topic of positive psychology. A conversation worthy of our time and attention. Many organizations have a one track mind when it comes to business-the bottom line. With that said, leadership often simply wants to concern themselves with shortcomings/opportunities that can be addressed and fixed as quickly as possible. This is where Training and Development and Organization Development professionals can bring such great value. We can see success and potential and almost anyone, no matter their opportunities/faults. Supporting and encouraging our people to continually advance can yield very positive results which in turn positively impacts the organization as a whole. Capitalizing on an individuals strengths and helping them to recognize their potential to grow/advance could be one way to further incorporate positive psychology in Human Performance Improvement. Often times superiors/direct reports dictate areas in need of improvement. Instead we could engage each individual in partner/employee development and performance advancement shortly after an individual joins an organization-encouraging them to take full ownership of their progress, supporting them along the way-tracking progress and offering guidance along the way. Positive psychology can be a great tool in the workplace, particularly for team building. Asking colleagues to identify the strengths of others builds a sense of connection and appreciation. I would, however, be wary of using too often as it may create a false idea that performance is up to par. Positive Psychology and Appreciative Inquiry both play an important role in the field of HPI, and should also play a role in our day to day lives. Instead of focusing on the things that are difficult and where we have weaknesses, it can be helpful to spend some time reflecting on what makes the things we enjoy and are good at, well, so enjoyable. It is where we can focus in on a key motivator and be able to apply it in areas where we are more weak, that we can see greater potential in ourselves and the clients we serve. •	Avoid responsibility and need to be directed. •	Have to be controlled, forced, and threatened to deliver what is needed. •	Need to be supervised at every step, with controls put in place. •	Need to be enticed to produce results; otherwise, they have no ambition or incentive to work. X-Type organizations tend to be top heavy, with managers and supervisors required at every step to control workers. There is little delegation of authority and control remains firmly centralized. McGregor recognized that X-Type workers are in fact usually the minority, and yet in mass organizations, such as large-scale production environment, X Theory management may be required and can be unavoidable. •	Take responsibility and are motivated to fulfill the goals they are given. •	Seek and accept responsibility and do not need much direction. I used to be a Theory X Manager, but over time I learned each situation is different so I need to adapt…a smile is always better than a frown. I am drawn to the second sentence, particularly the idea that people want to cultivate what is best within themselves. I have found this to be true of the majority of people I know and have worked with. I also believe that positive reinforcement can go much further than negative reinforcement. People tire quickly of always hearing about what they are doing wrong, why their ideas are wrong or won’t work, but people usually love to hear good things about themselves. Positive Psychology can make an employee feel valued, something that multiple engagement studies have shown to be even more important to employees than money. Feeling valued can lead to better performance because of the positive feelings it evokes in people. I consider these points to be in line with Positive Experiences and Positive Individual Traits, Pillars 1 and 2 outlined in the above article. Positive Psychology can be a strategy to motivate workers to continue to use good practices and to be advocates for continuous improvement. I agree that we cannot only look to what is right when developing performance interventions; nothing is ever perfect and there will always be room for improvement. However I think that by analyzing what an organization is doing well, we can then develop strategies to build on that to strengthen the organization and make it even better. I see this aligning with Pillar 3, Positive Institutions. Thank you for your thoughtful reply!I agree a constant flow of negative feedback can be demoralizing and rarely leads to improved performance. Thanks for sharing your thoughts.